Space is somewhat of a vague topic. For many of us, the word calls to mind outer space. But what about space that's closer to home? In our everyday lives, space can mean something physical, but it can also be something that you can't simply reach out and touch. We aren't always aware of the space around us, but when it disappears it can feel like there's something missing. Whether it's a mountain we don't know very much about, or an old building that has been transformed, space is tied to our understanding of the world and our place in it. Whether big- or small-scale, space can represent anything from personal space to discovering a new place to buy a used book. This special issue is a first for The Link; for the first time, we've created a web-only experience that allows us to expand into the ever-changing online space that has become a major part of our identity. How and why are we changing, using—or in some cases, destroying—the space we have in our city? Read on to find out. 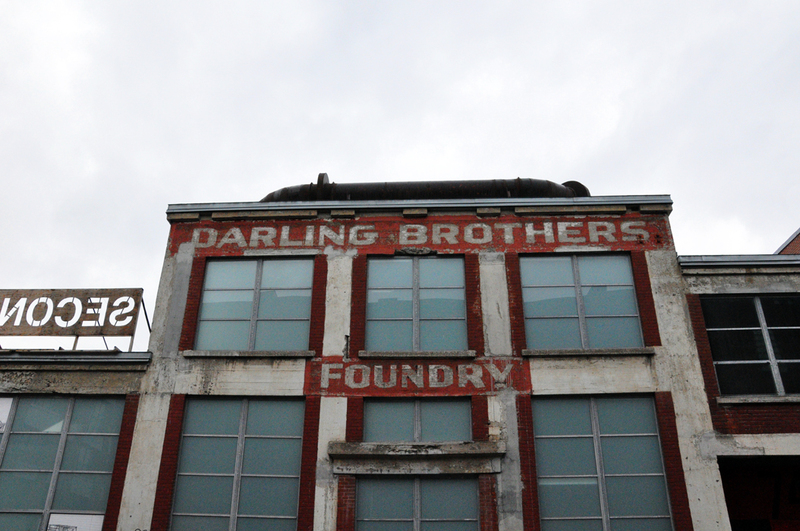 The Darling Foundry, formerly a metal works foundry, has been converted into artists studios and exhibition space. 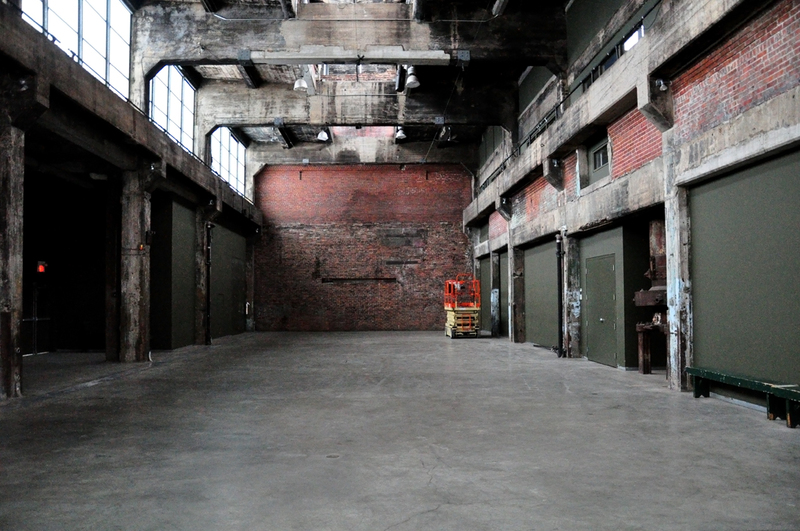 The renovation of the Foundry serves as an example of the potential industrial buildings hold for modern use. It's easy to sneer at bars, restaurants and cafes with an "industrial edge;" the distressed decor and exposed brick walls seem to be a trend that caters to our generation's taste for the "authentic." Aesthetics aside, however, the re-purposing and modernizing of historical buildings reflects a broad shift in the socioeconomic realities of city living. In Montreal, the buildings targeted for adaptive re-use tend to be concentrated in previously industrial areas, such as the Old Port, the Lachine Canal and Griffintown—indicating a shift from manufacturing to a service-based economy. Bruno Tremblay, an architect at Sid Lee, a Montreal-based design and architecture firm, has observed this transformation firsthand over the last twelve years he's been in the industry. "In places like Griffintown, you see a lot of industrial buildings with concrete structures, nice spans and nice height; they're a good frame to work with to create condos or offices," he said. According to Tremblay, there is a growing number of activists who appreciate the historical value of old buildings and attempt to prevent developers from tearing them down. The adaptive reuse movement in architecture is also indicative of the slowing of the suburban exodus. Tremblay explains that many once-abandoned buildings in Canadian cities are now seen as prime real estate. "There are a lot of old buildings that get renovated into condos; you see a lot of people going back in the centre of cities instead of going to the banlieues." Refurbishing old buildings to make them appropriate for current needs is a tricky process, and there's no single right way to do it. As different voices emphasize different things, a balance needs to be struck between conserving notable historical aspects and replacing them with modern structures to ensure the renovation is effective. As well, developers, government culture workers and architects bring differing perspectives and expertise to the negotiation of how to walk that fine line. Tremblay sees preservationists as collaborators towards making the best decisions with what stays and what goes. 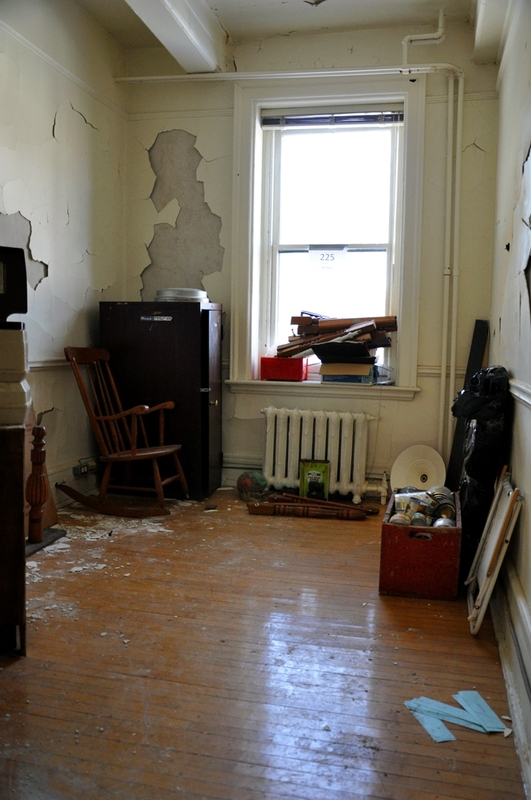 "They're trying to keep the patrimoine"—the cultural heritage—"as intact as possible," he said. "If you need [to reference] some old photos, they can usually give them to you." 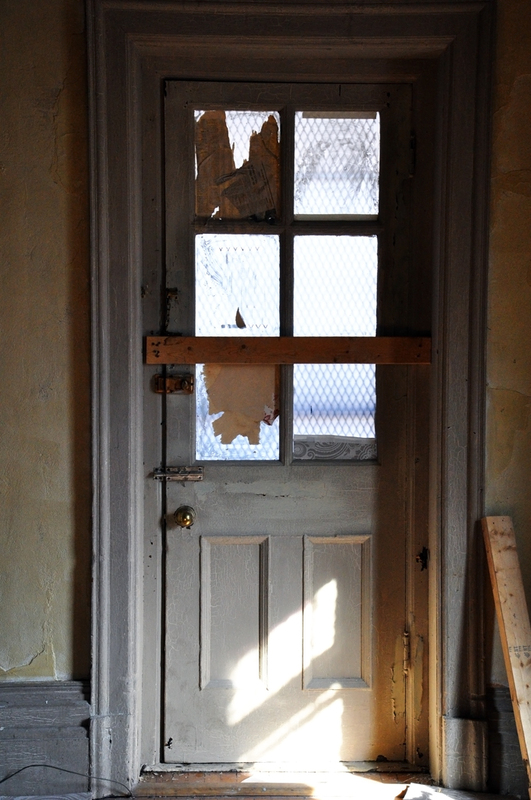 Using old buildings also comes with unforeseen pitfalls. Some architects abhor the idea of renovating old buildings and insist that it is always more cost-effective to simply start from scratch rather than to renovate, because unpleasant surprise discoveries can quickly consume a large part of the budget and slow the project. 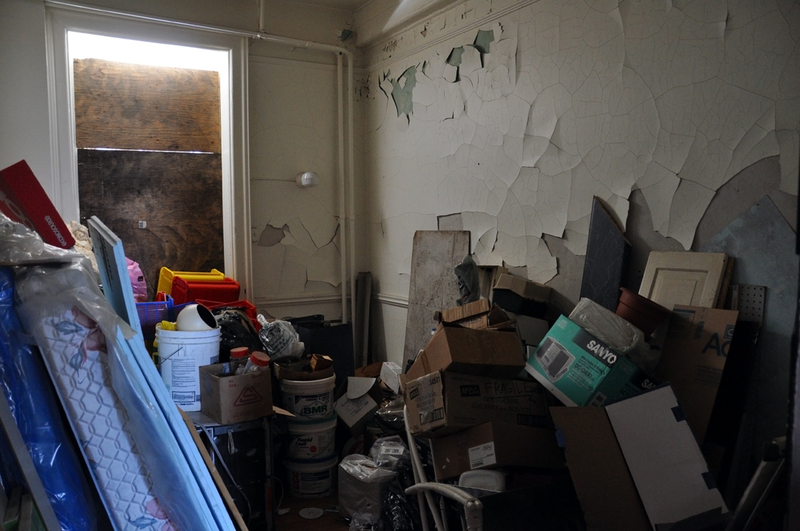 For example, take the $200,000 that went into correcting contamination at the Darling Foundry; in the case of the Notman House, an entire wing connecting the building to St. Margaret's hospital will have to be taken down because of foundational and water damage. Luckily, the wing holds little historical interest. Tremblay finds that the extra effort is well worth it, however. "I'm all for [mixing new and old]. I think it makes up a very rich experience that sometimes you can lose with new buildings," he said. 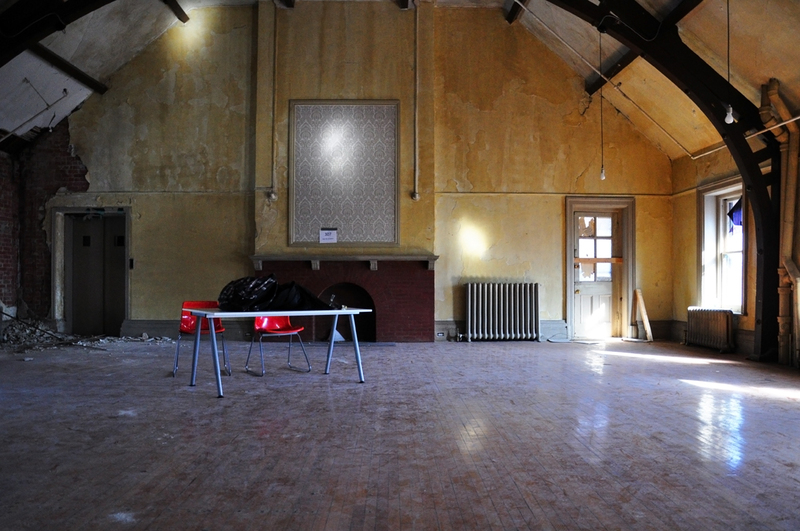 "You see [a different kind of] craftsmanship in old buildings." 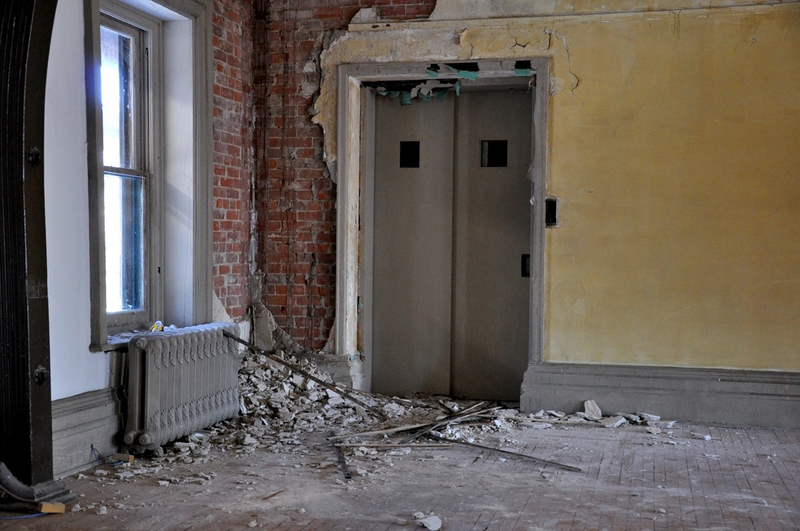 Caroline Andrieux, founder and creative director at the Darling Foundry, is also concerned for the widespread trend of taking a wrecking ball to buildings to make way for new developments, rather than conserving what historians consider precious parts of the city's cultural heritage. 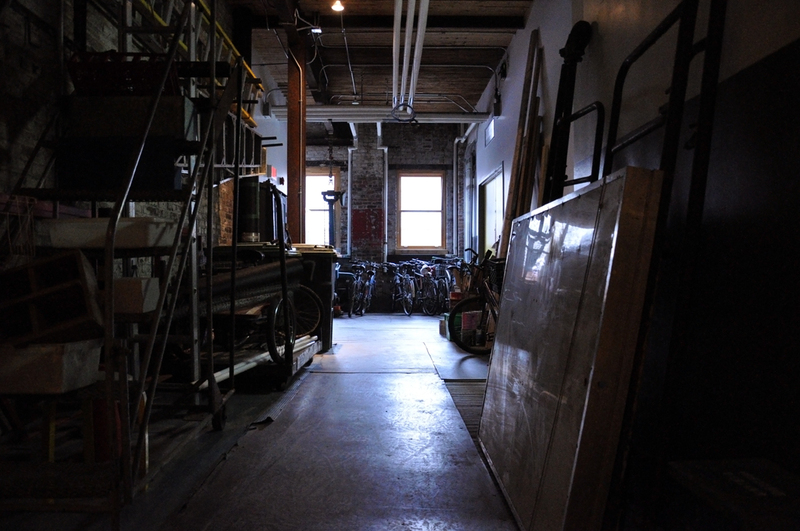 "I think we have to save more industrial buildings in the city. If not, we're going to be in a city that's the same as all the cities in the United States now," said Andrieux. The question of how to preserve old buildings while making room for newer facets of our shared culture is still being debated, and many different approaches are taken. Below are the stories of two projects that embrace Montreal's cultural heritage—while simultaneously taking part in shaping a new one. The Darling Foundry is a prime example of the industrial building types that are being renovated, rejuvenating an area that had been languishing since the disappearance of industrial businesses. The Darling was a metal works foundry active from the end of the 19th century until 1971, when the buildings were briefly occupied by a plumbing company. After standing empty for a decade from 1991 to 2001, it was converted into a space that exhibits and houses contemporary art work. 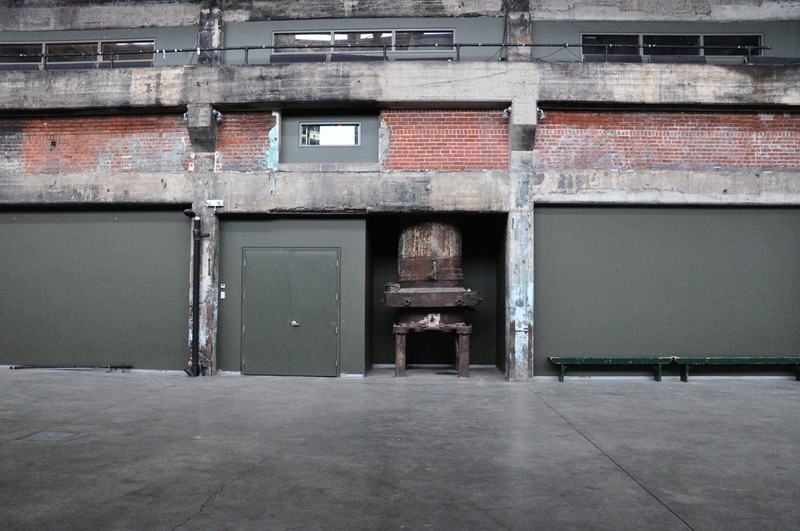 Two buildings of the Darling Foundry business were saved, with a wood-pattern manufacture being converted into artist workspaces, and space previously used to melt and cast iron turning into space for exhibits. 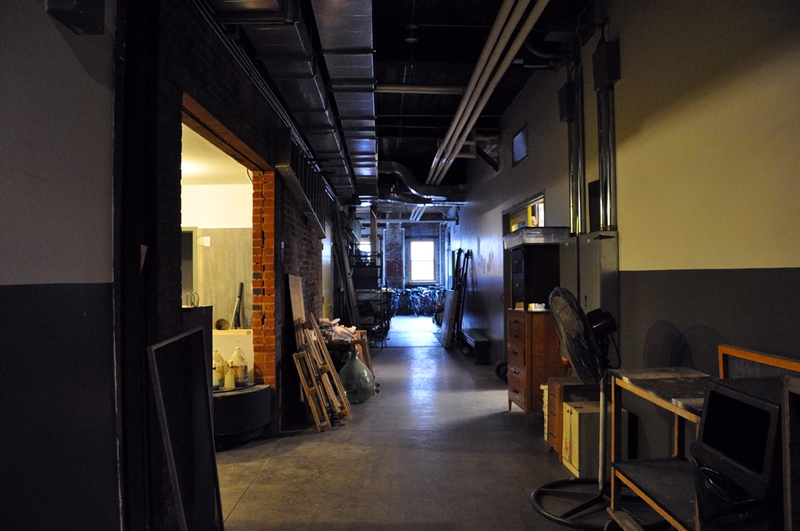 The exhibition space renovation was headed by architecture firm In Situ, which had prior experience in the field of adaptive reuse; OEUF converted the artist studios. 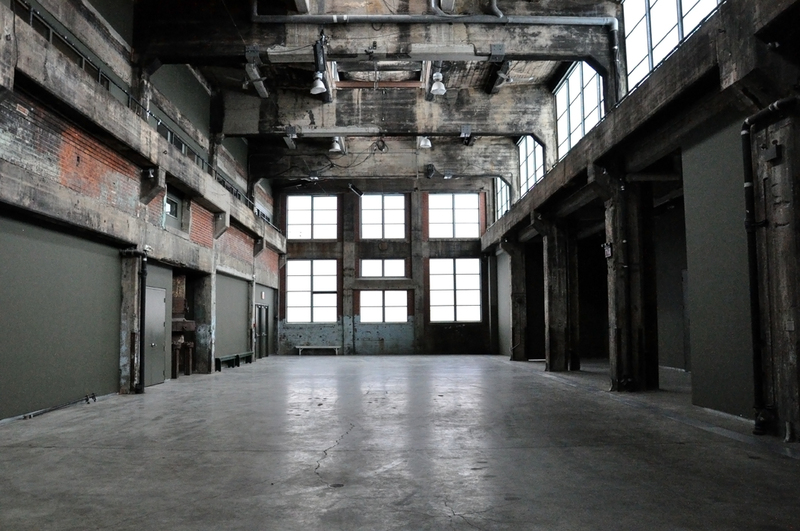 According to Andrieux, Quartier éphémère, the artistic group behind the Darling Foundry, considered the revitalization of abandoned buildings part of its mandate. 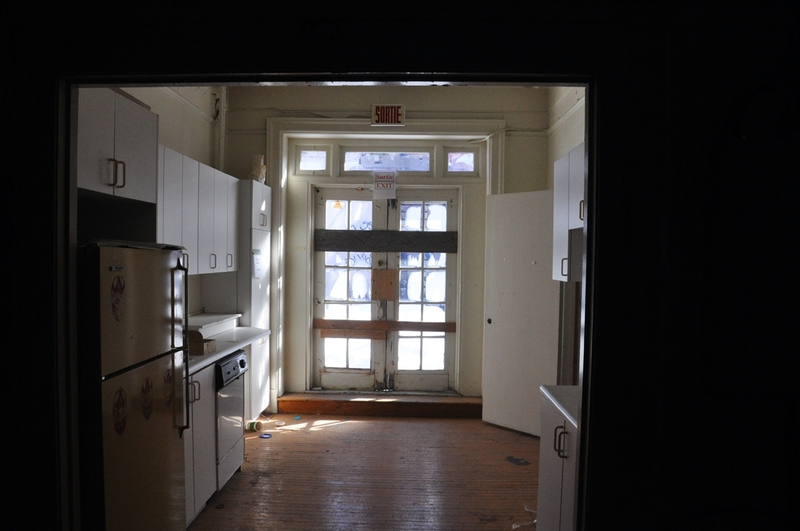 "We didn't add anything; we just tried to take out all the things that were not usable anymore, like the heating system and poles all over the space," said Andrieux. "It was more a work of purification. We're happy because we saved the building as it was." Indeed, according to a passage about the Darling Foundry in A Guidebook to Contemporary Architecture in Montreal, by Nancy Dunton and Helen Malkin, the architects "let the morphology of the building define its reuse," adding only strategically placed inset drywall to partition the space, without masking its underlying form. However, choosing to let history dictate so much of its present shape does not always work out as well as it did in the Foundry's case. Some adaptive reuse projects require a deeper change in the building to match its current use. 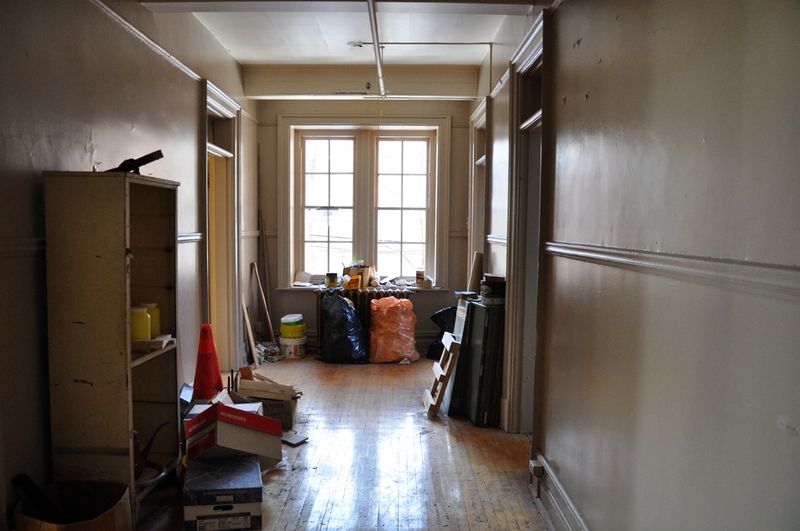 The conversion of a 19th-century mansion at 51 Sherbrooke St. W. into a gathering point and office space for Montreal tech start-ups is one such example; an exercise that will require an in-depth questioning of what should be kept and what should be removed to better serves a modern purpose. The Notman House, according to a 1991 article in The Montreal Gazette, has been occupied by many well-to-do Montrealers over the years, most notably William Notman, a noted photographer who captured famous images of a time gone by. Today, that property and the adjoining St. Margaret's hospital has been acquired by the OSMO Foundation, which plans to convert the space into a hub for tech start-up companies to include a public cafeteria, affordable short-term lease office spaces, an event space and a co-working space. Though the thematic link between the old manor and young entrepreneurs may seem tenuous, Gabriel Sundaram, an OSMO coordinator, points out the parallels between the work of William Notman—a shrewd businessman with an interest in the latest technologies (namely, photography)—and the values of today's tech start-ups. The house was built by John Wells, a British architect active in Montreal in the 1840s, most famous for designing the Bank of Montreal headquarters. According to the 1991 Gazette article on the Notman House, "The central hall plan of the house—symmetrically placed grand rooms off a generous corridor—followed the tradition of aristocratic domestic architecture in both Britain and the United States." Another feature of the historical design was the thorough use of the best local materials—the article refers to it as "one of the finest domestic buildings of the 1840s." The architects at Sid Lee, the firm selected to take on the creative direction of the renovation, became fascinated by an interesting detail—at one point, the house's inner court space was filled with greenery and acted as a gathering place. "What we wanted to do is really to keep the image of the old Notman House, so we put the [public café] on the ground floor, with a [green roof] on it," said Tremblay. 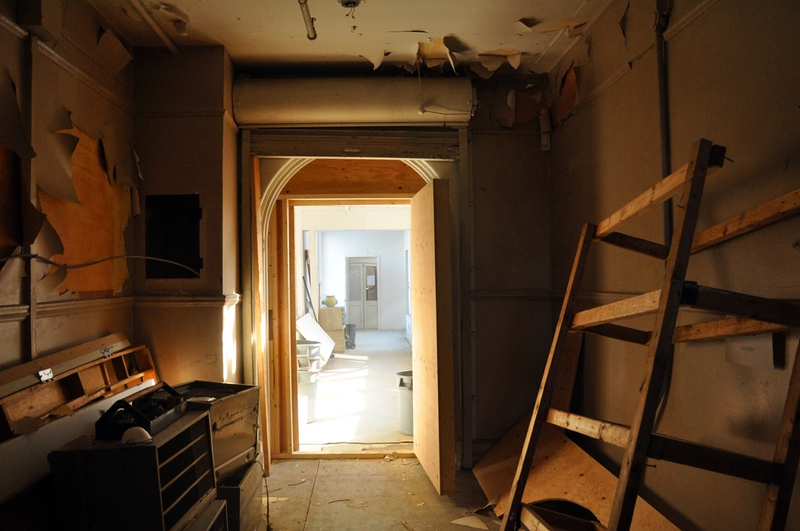 While the interiors will be quite modern, in keeping with the Dutch design-influenced style of Sid Lee, many parts of the building will be restored based on historical approximations, right down to the paint colour. 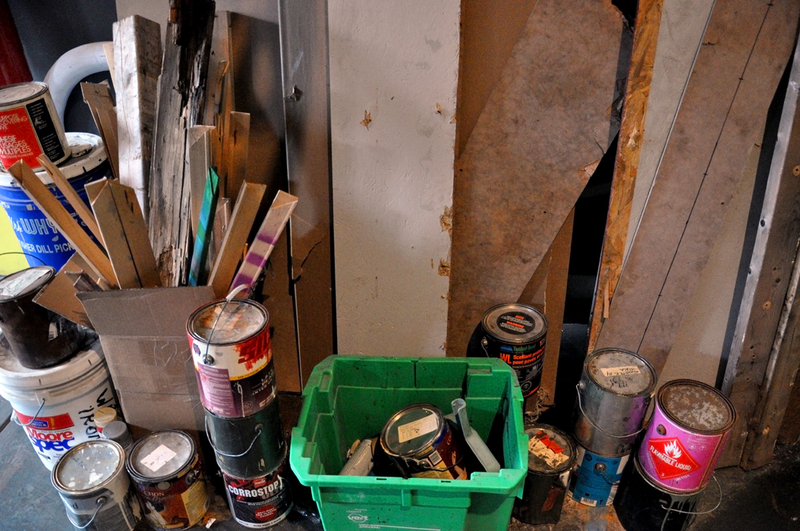 According to Tremblay, a chemist will be analyzing the layers of paint that have accumulated on the window frames to find a colour to reflect the original interiors, and doors found removed from their frames and stored in a room will be re-hinged. 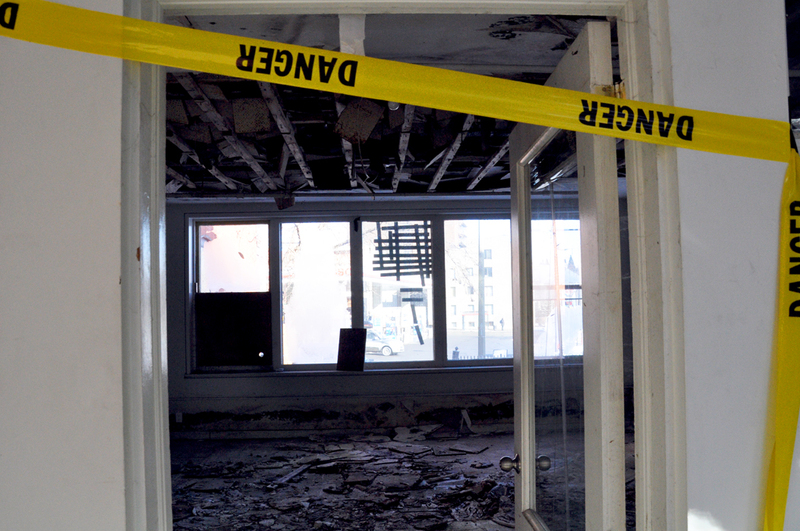 Even the sprinkler system, which needs to be updated to respect up-to-date building codes, will be routed through the same holes in the building the original had been. The preservation of the St. Margaret hospital's slate roof illustrates the way adaptive reuse architecture has far-reaching consequences for the overall conservation of Montreal culture—in this case, the supporting of an increasingly uncommon craft. "People who work slate roofs are more and more rare, so it's pretty fun to be able to keep it," said Tremblay. 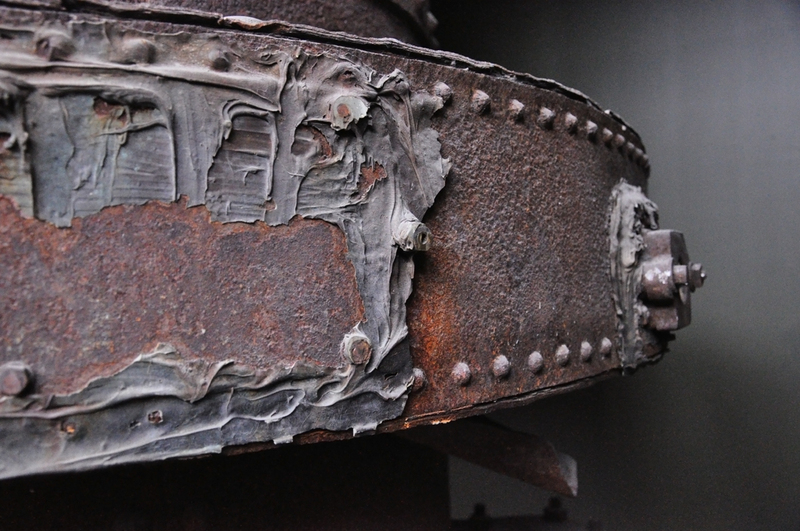 "We fought a lot to try to keep it, to find the money to have it replaced. It's very expensive." Old pieces of slate roofing will also be ground up to serve as mulch for the planned garden. Arguably, these details will not be apparent to most future users of the space, but adaptive reuse projects are reminders of the fact that buildings are some of the most enduring artifacts of our past—while, paradoxically, drawing attention to the cyclical reality of urban growth and decay.